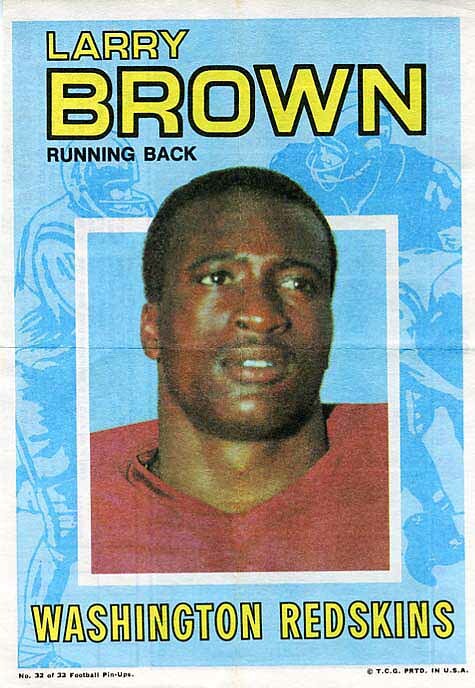 In 1968 Topps inserted posters into its packs of football cards. 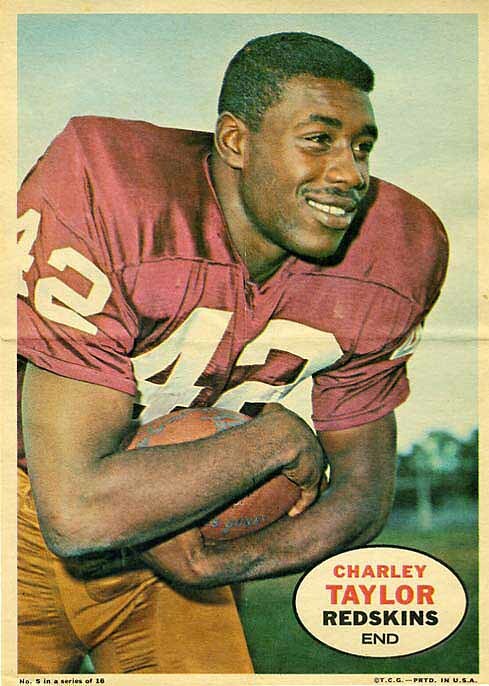 The only Redskin included in the 1968 poster set is Charley Taylor. 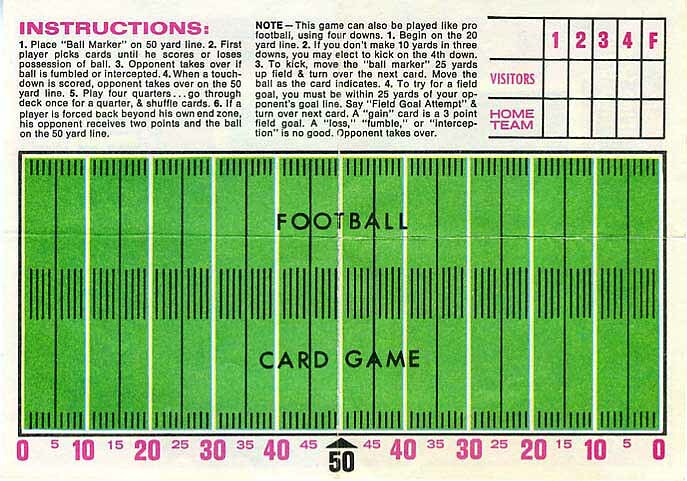 In 1971 Topps again inserted posters into its packs of football cards. 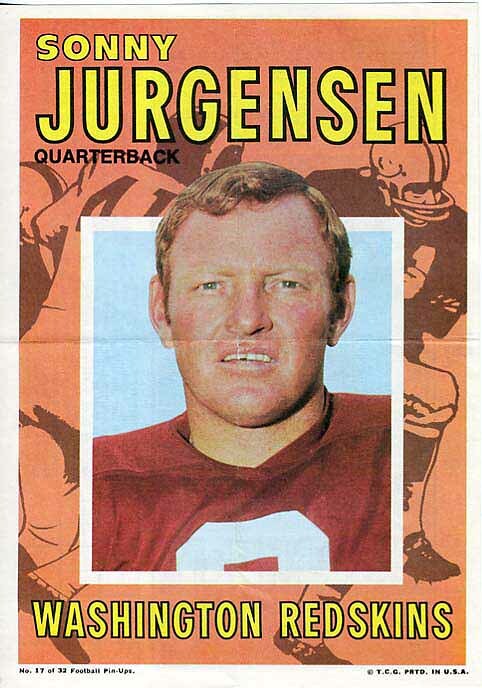 The Redskins in the 1971 set are Sonny Jurgensen and Larry Brown. All three of these posters are shown below. And, because on this web site, we CARE about the backs of cards (seriously), at the bottom of the page is the back of a 1971 Topps poster. The back was meant to be used for a game.